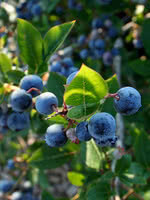 Top Hat Blueberry is ideal for decks, patios, and small yards. 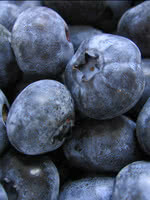 This compact blueberry produces loads of good tasting berries early in the summer. This variety's berries are well suited for baking. While Top Hat Blueberry is self-pollinating, we recommend pairing it with another suitable blueberry to increase the berry production of both varieties. We recommend planting Top Hat Blueberry into the ground or into planters that have at least 5 gallons of soil per plant for the best results. Do not plant them into pots (voids your guarantee).